What's the deal with... PUBG? PlayerUnknown’s Battlegrounds is the current Hot Thing. Leading the charge of Battle Royale titles, it’s comfortably beating even the heavyweights of Dota 2 and CS:GO to top Steam’s concurrent users chart. Battlegrounds, or PUBG as it’s more commonly known, launched in Early Access this year, with it’s official release on both PC and Xbox One in December. You’d be forgiven, then, for feeling a little lost at the sudden and overwhelming success of a new IP from a studio you’ve likely never heard of before. If airdrops and acronyms are leaving you confused, we’ll catch you up on this pre-release sensation that’s taken the gaming world by storm. Pumped up for the Xbox One release? Check out the controls to get those fingers ready. PUBG is a third (and first) person shooter which dumps 100 players into a free-roaming arena with nothing but the clothes on their back. The only rule? Last player standing wins. With no starting equipment or unlocks, it’s up to you to secure weapons, armor and health kits before fighting for your life. It might be a survival game, but there’s no crafting or tree punching to be found here. Instead, PUBG is a game about looting, sneaking and fighting for your life. Diving into battle. Shoes: optional. 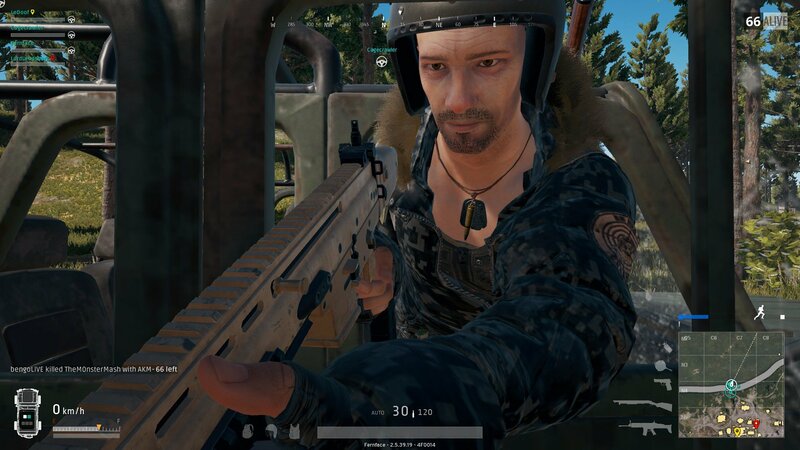 PUBG is the work of Brendan Greene (aka PlayerUnknown), who first turned heads when he single-handedly created a popular Battle Royale mod for both ArmA and DayZ. 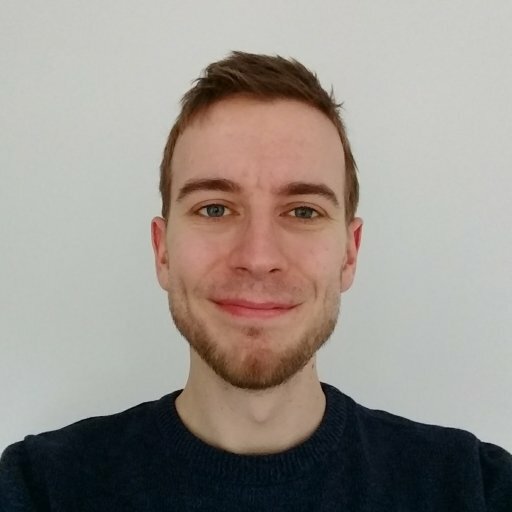 His work drew the attention of Sony Online Entertainment, who pulled him in for consultancy work on H1Z1: King of the Kill. Shortly after, Greene was approached by South Korean publisher Bluehole and began working on a full title that would become PUBG. The Early Access release proved popular with both players and big-time streamers, exploding to over 20 million copies sold. The game takes place in three main modes: Solos, Duos and Squads. Solos is the place for lone wolves, while Duos and Squads let you team up with a partner or in groups of up to four respectively. The numbers may vary, but every game follows the same structure. 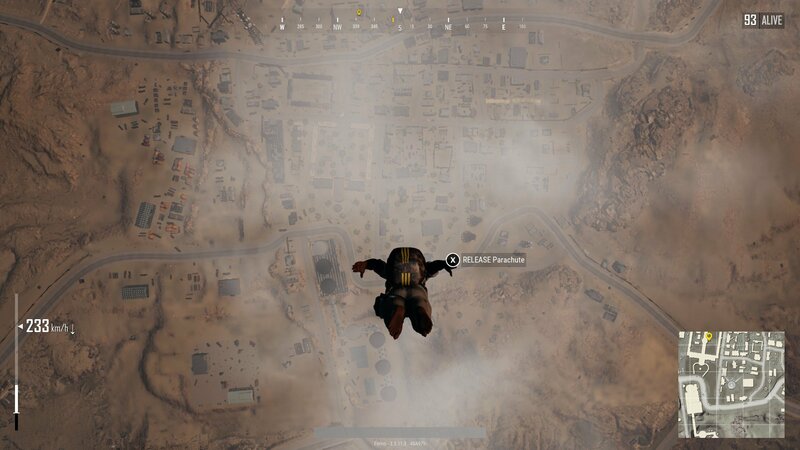 Each round begins with all 100 combatants crammed into a cargo plane on a randomly oriented path above one of the game’s two maps: The green island of Erangel, or the rocky Desert of Mirarmar. The PC release will have access to both of these maps from the get go, while the Xbox One is limited to Erangel, with Miramar arriving not long after release. You’re free to jump out as you please, giving time to plan your destination based on the plane’s route. This intro is one of PUBG’s greatest tricks, allowing you to dictate your own pace. Loot only spawns in buildings, and the best gear is more common in certain locations. Immediately, this opening gives players an exciting decision in balancing risk and reward. Dropping into a large city might net you some powerful rifles, but you’ll also have to survive the multitude of players looking for the same. Hop out of the plane and you’ll find yourself hurtling towards the ground, where you can angle up or down to increase your speed or attempt to travel further from the flight path. Parachutes will open at a set height, letting you direct the final, slow descent. You can choose to open chute early, but it’s rarely a good idea unless a great target is just out of reach. Most players will wait until the plane gets as close to their target as possible before hurtling straight down as a fast as possible. The less time spent in the air, the more time you have to loot. PUBG's Erangel map. You'll get to know it well. Once everyone’s taken the plunge, the game takes place in a series of timed circles. The first is located randomly, and covers roughly one quarter of the map. If caught outside, you’ve got five minutes to loot where you are before an electric blue field closes in. Each circle always appears within the last, but beyond that the locations are once again random. If you don’t make it in time, it’s not the end of the world, as early on the field will only deal a small amount of damage over time. However, as the game progresses and the play zone shrinks, the damage increases until it's lethal in seconds. The further you are from the next circle, the more damage you’ll take. 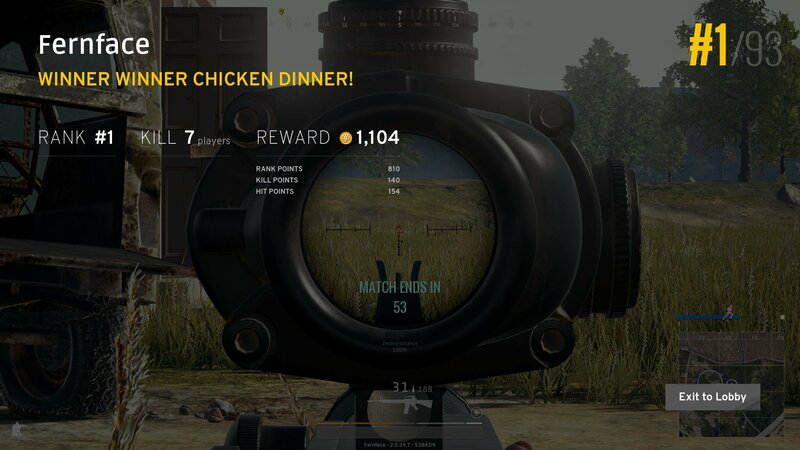 Eventually, the dwindling number of players remaining will be forced into a tiny arena and left to shoot it out for that much-desired chicken dinner — that’d be a win, naturally. PUBG is therefore a game of two main stages: looting and fighting. Most players will spend the first 10-15 minutes scrambling for resources in the hopes of contesting that final arena. You might go hunting for kills on the way there, but you could equally just hide in a bush. In general, there are two main strategies applied to the circle. You can stick to the edges, slowly working your way inward so that you generally won’t need to watch your back, or grab a car and head to a position of strength within the centre. Even if the circle moves again, holding a central spot means you won’t have to travel far to be safe once more. PUBG’s map is immense, making cars a vital commodity, but they’re also very loud. Driving around noisily late in the game is a sure way to point every remaining gun in your direction. There are six main weapon classes: pistols, shotguns, SMGs, assault rifles and sniper rifles. You’ve got room for two primary weapons, along with one pistol and one melee weapon. Pistols act as a sidearm, allowing you to carry one in addition to other weapons. However, unless you’re very unlucky with loot, it’s unlikely you’ll use them at all beyond the opening moments. They deal minimal damage but make for a hasty defence when dropping into contested zones. By far the most common weapons beside pistols, shotguns are not to be underestimated and are capable of downing unarmored opponents in a single shot. The two-barrelled S1897 might seem like the inferior choice, but with a choke modification you’ll find it surprisingly effective at distance. The pump-action S686 is your all-rounder, while the semi-auto S12K is more modifiable with a higher rate of fire, but for a lower overall damage. These are your early-game killers. Far more common than their big brother AR counterparts, SMGs are brutal against unarmored opponents, but tail off in use at range or against those well geared. If you can grab a Micro Uzi, Tommy Gun or Vector right after the drop, it’s well worth hunting down those around you less fortunately equipped. Given the option, you should always trade up for a rifle, but if none are forthcoming, the UMP is your best bet thanks to its effectiveness at range. The weapons of choice if available, ARs deal high damage over medium-to-long distances. The AK deals heavy damage at the cost of heavy recoil, while the M16 only operates in single fire or burst, suiting it for long-range taps. The AUG, M4 and SCAR round out the group as the most versatile options with plenty of slots of upgrades. By far the hardest weapons to use, SRs can do wonders in the right hands. You should almost always grab a sniper when available, as many fights take place at range.The bolt-action Kar98k is a popular choice, built for long-range kills. Dealing the highest damage of all base weapons, only a level-3 helmet will stop a headshot from instantly downing you. Arguable the best base gun in the game right now, The Mini-14 is another weapon to look for, offering a large mag, high rate of fire and lower recoil than other snipers. PUBG has a number of weapons that don’t quite fit into clear categories, and they’re usually all the more fun for it. Around the levels, you can also expect to find a crossbow. Slow to reload, the weapon is near silent and can take down unarmored opponents in a single shot (or most armored ones with a headshot). There’s also an unwieldy LMG — DP-27 — capable of laying down ungodly amounts of fire, a pistol category Sawed-off shotgun, and a lever action Win94 rifle. Each is a blast to experiment, and while the snipers and ARs may be your best chance for a win, don’t be afraid to experiment and have some fun. In a map filled with guns, melee weapons only make for a marginal improvement on running at people with your bare fists. However, there is one crucial exception, and it comes in the form of a cast-iron frying pan. Not only does the pan deal better damage than all its counterparts (yes, that’s right — a frying pan does more damage than a machete), it can also block bullets while holstered on your waist. This might sound unlikely, but a pan can prove your saviour far more often than you’d think. You probably don't want to be this close to another player, even a friend. PUBG has three tiers of protection for both your body and head. The higher levels have a higher “armor” value, but also provide increased damage reduction, meaning that it’s usually best to upgrade your body armor or helmet, even if the one you’re trading to is damaged. Protecting the head is especially important, as all rifles will kill with a single direct shot. It may not look pretty, but that motorcycle helmet can keep you alive. Health packs take two forms: boosters and burst healing. Bandages, first-aid kits and medkits will each heal a chunk in a go, but only the rare medkit is able to heal past 75% health. Bandages are commonplace, but you’ll rarely need to use more than 10, so picking up more is a waste. Boosters in the form of energy drinks and painkillers are arguably more important. Quicker to take, these will provide extended healing over time, as well as boosting your movement. Both types are able to heal past 75% and can often give you the edge over another fight, or help you stay up in the blue. All the weapons in PUBG are customizable, but it’s important to recognise which loot is most important. Long-range scopes (2x, 4x and 8x) are crucial for combat over the island’s long sightlines, so grab any you find. Stocks, magazines and foregrips are always beneficial, but some are better than others. Extended mags beat quickdraw, and a vertical grip reduces recoil better than angled. Finally, front-end attachments are available in the form of flash hiders, compensators and silencers. Keeping yourself hidden is a must in PUBG, so silencers are ideal, if you can find them. What we're all here for: That tasty chicken dinner. We’ve covered all the base loot, but from time to time you’ll get the opportunity for something a little more special. PUBG’s cargo planes aren't limited to dropping players — during matches they’ll also pass over to drop care packages. These will contain a selection of specialist gear, as well as some seriously powerful weapons. Heavy machine guns, brutal ARs and the most damaging snipers in the game are all limited to these crates, along with unique gear like a 15x scope or ghillie suit. If you can secure one soon after it lands you’ll net a serious advantage, but beware other players using them as bait. When PUBG first launched in early access, the eastern bloc style island of Erangel was almost synonymous with the game, with locations like School quickly earning their reputations as the fight clubs or killzones of the map. 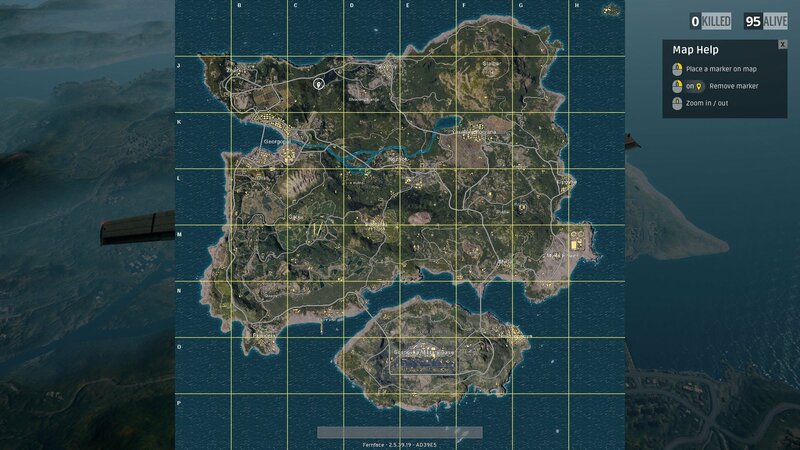 Erangel is alone no longer, however, joined by the very different, very orange Miramar. Beyond visuals, there are some key mechanical differences between the maps worth knowing. Miramar was introduced with the vaulting mechanic which lets players explore with much more freedom. As a result of this, expect the level to be designed with this in mind, with some good looting locations secreted up and about in spots you might not expect initially. Miramar’s arrival also came with a number of exclusives, both weapons and vehicles that can only be found on the level. These include a sawed-off shotgun, R45 revolver (Erangel gets the R1895) and Win94 rifle. You’ll also only be able to command the stable pickup truck or six-seater van on Miramar’s rocky outcrops. For full details on the new map and its features, check out our Miramar guide.